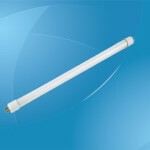 T12 Fluorescent lamps are long tubular glass lamps that are used in large electrical boxes called ballasts. These lights are installed by lining up the tabs on the ends of the tube with insertion points on the ballast. The light tubes are then twisted to fix them in place for full installation and are ready to be used once the light box is powered on at the light switch. Originally, magnetic ballasts were widely used, but those were eventually replaced with electronic ballasts that prevent the “flickering” of light which can cause several problems including eye strain and headaches for anyone sitting directly under the lights. Electronic ballasts do not give off the annoying noise or “hum” that is associated with magnetic ballasts. 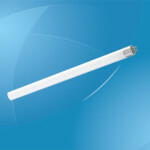 Most light ballasts will accommodate four to six T12 Fluorescent Lamps, depending upon the size of the ballast. Ballasts do come in many different sizes, so when lights are being ordered for replacement, a person should check the ballast to see how many tubes are needed. If you are unsure, you should also measure to obtain the accurate length of light tube that will be required to fit into the ballast. Since T12 fluorescent lamps range in length, you will need to confirm the length of replacement tube needed for each ballast. 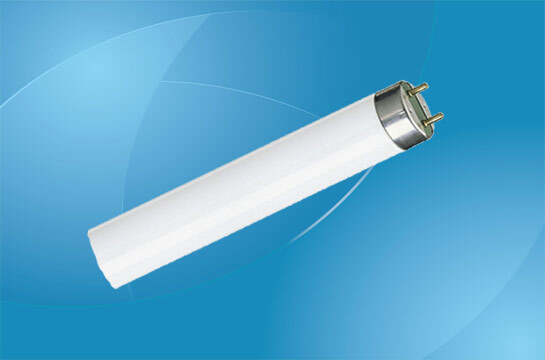 Some of the more common uses for T12 fluorescent lamps are for lighting in workshops, garages, overhead in kitchens, office buildings, schools and institutions. These lights are often chosen for these specific applications because they tend to last a long time, are relatively inexpensive and are available for purchase in bulk quantities. These lights are available in a wide range of colors, including bright white, natural light, neutral white, warm white, cool white and daylight. Each color has its own suitability for a particular application. Where detail oriented work is being undertaken, brighter lights may be required, and the suitable choice would be bright white or daylight lamps. 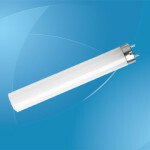 When purchasing T12 Fluorescent lamps, these lights are generally sold in boxes with a quantity of 6, 10, 12, 15 and 30. Most of these lamps last around 7500 hours of use. The standard length is between 46 and 48 inches and the diameter is 1.5 inches. The color of the tube dictates that amount of wattage with each color having a distinct number, ranging from 15 watts for the warm white tube to 60 watts for the high output cool white light. Each tube also has a heat rating included in the product description which is listed in Kelvin units. The tubes are hot to the touch when they have been on for a certain amount of time. When the tubes need to be changed out, it is best to use gloves or turn the lights off long enough to allow the tubes to cool before they are handled. Old tubes that have been removed can be disposed of at recycling centers and should not be thrown away in the garbage. There are certain components in these tubes that need to be disposed of in a safe and effective method.